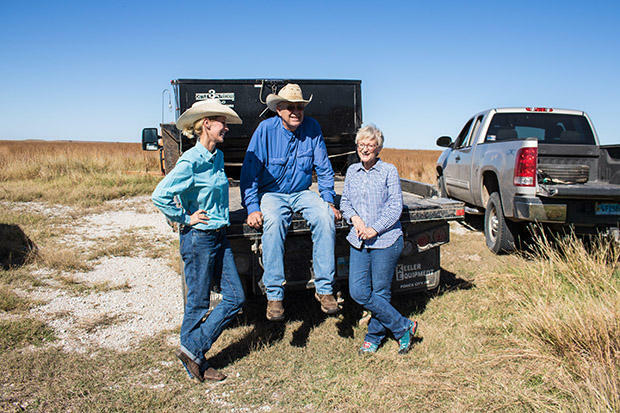 Sarah Vap and her parents, Dave and Barbara Jacques on their farm and ranch in Osage County. The Jacques family strongly supports a 'yes' vote on State Question 777. When Oklahoma voters go to the polls next week, they’ll decide on State Question 777, known by supporters as the right-to-farm amendment. The measure would make farming and ranching a constitutional right and make it harder for the Legislature to enact laws that further regulate the agriculture industry. 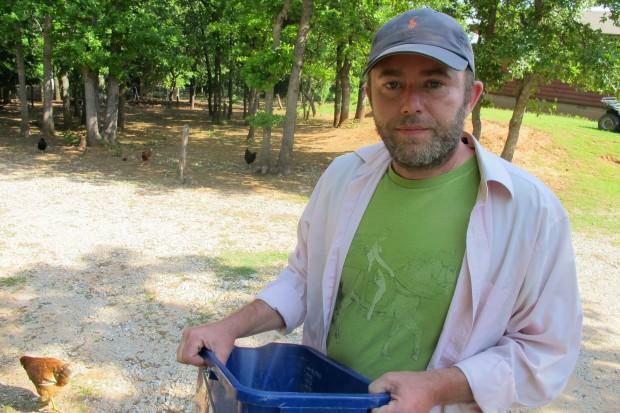 The ballot question seems simple on the surface: Do you support the right to farm? The answer for many Oklahomans, however, is more complex. Environmental and legal considerations complicate the issue, and it has become very culturally and politically polarizing. StateImpact has been following right-to-farm for almost two years. In this hour-long documentary, we unpack SQ 777 with interviews and analysis from all four corners of the state. Public polling on State Question 777 — the so-called right-to-farm amendment — is fluctuating wildly as Election Day approaches, and the fundraising race between supporters and opponents has tightened. Millions of dollars in contributions are flowing from individuals, businesses and organizations to groups campaigning for and against State Question 777. Those groups have collectively spent more than $1.8 million dollars — on billboards, advertisements, commercials, bumper stickers, social media campaigns, research and more — to sway voters on the measure, which would make farming and ranching a constitutional right in Oklahoma. The yes on 777 campaign got an early start. The primary group backing the state question, Oklahoma Farmers Care, was organized in 2015 and leads total fundraising by more than one-third. To date, the group has pulled in more than $1.3 million dollars in donations. Many of those donations have come from individual farmers. Those smaller amounts have been amplified by $5,000 and $10,000 checks from local Farm Bureaus, banks and ag industry groups like the Cattlemen’s Association and the Pork Council, which in full disclosure, has financially supported StateImpact. Groups urging a no vote on State Question 777 started from behind but have almost caught up in fundraising. 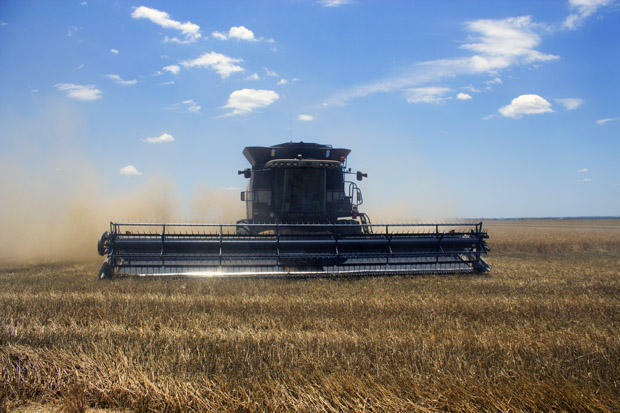 The two primary groups opposing 777 — the Stewardship Council and Oklahoma Food, Farm and Family — out-fundraised the yes campaign during the last two quarters. They have nearly closed the 2016 fundraising gap. Groups opposing 777 have raised about $950,000 so far. The ‘no’ coalition has received big checks from social welfare group Oklahoma Rising and the Humane Society of the U.S. and received financial support from individual donors, including a board member of the Kirkpatrick Foundation, which in full disclosure again, has also financially supported StateImpact. We’ve detailed the money coming in. Let’s talk about the money being spent. Overall, the no on 777 groups outspent the yes team through September, but just slightly. Recently, the yes campaign has boosted spending by more than 700 percent, while the no campaign has ramped it up by 300 percent. It’s impossible to know how much money individual groups or businesses are spending on their own to tell Oklahomans how to vote on 777. And we won’t know how much money the organized campaigns raised and spent during the final Election Day push until well after the vote. Support for State Question 777, which would make farming and ranching a constitutional right in Oklahoma, has slipped in recent weeks, according to a SoonerPoll survey commissioned by The Oklahoman. State Question 777 would create a constitutional right to farm and ranch in Oklahoma, giving the agriculture industry unique protection from the state legislature. The ballot question concerns livestock and crops, but legal experts say the statewide measure will likely come down to lawsuits and courts. In the weeks leading up to the November election, officials in cities and towns across the state have urged Oklahomans to vote no on SQ 777. Oklahoma voters will decide in November whether to change the state constitution with new language protecting the agriculture industry. 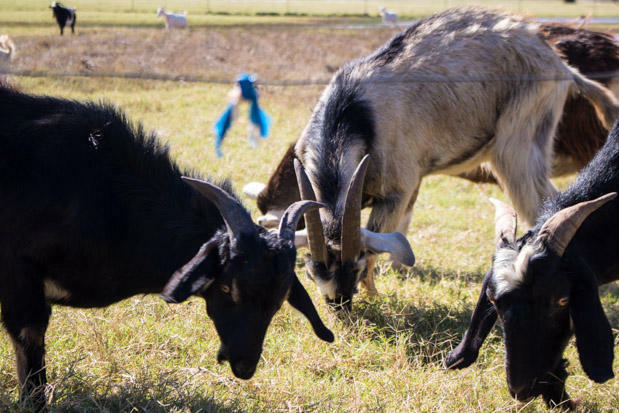 The Oklahoma City Council passed a resolution Tuesday formally opposing State Question 777, which is commonly known as the “right-to-farm” amendment. 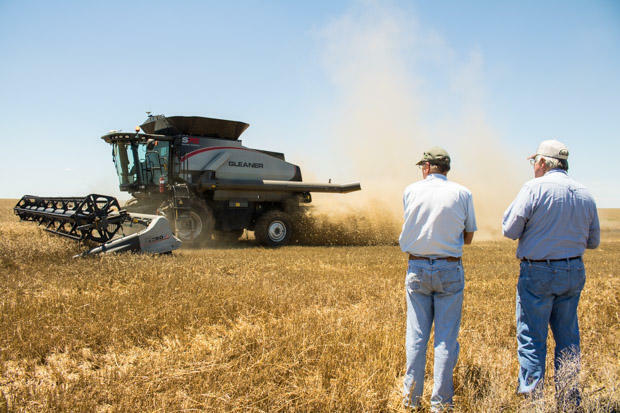 The proposal would add a new section to state law guaranteeing farmers and ranchers can operate without interference unless the state has a compelling reason to get involved. 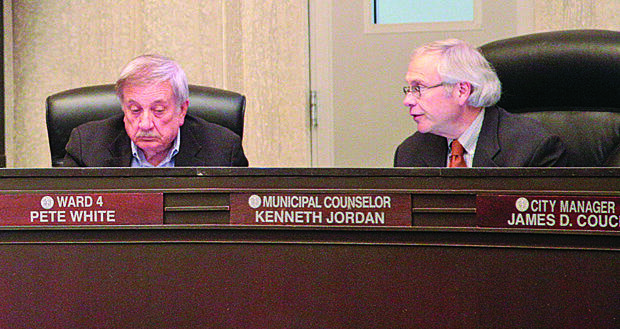 City leaders in Edmond adopted a resolution urging citizens to reject State Question 777. 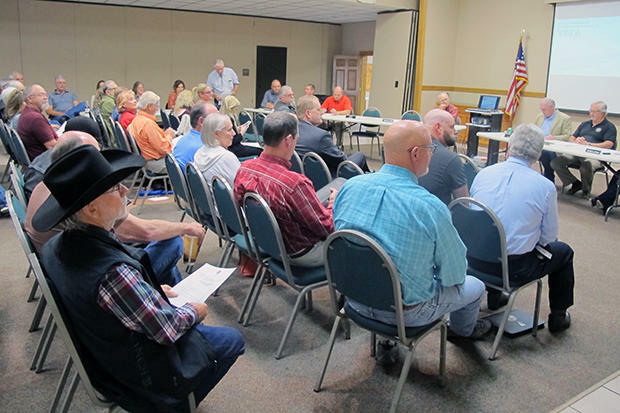 Their counterparts in Choctaw appear likely to do the same, and the Norman City Council has booked a presentation from an organization fighting against the question, which would amend the state constitution to include the “right-to-farm” and prevent lawmakers from passing legislation impeding farming, ranching and agriculture. 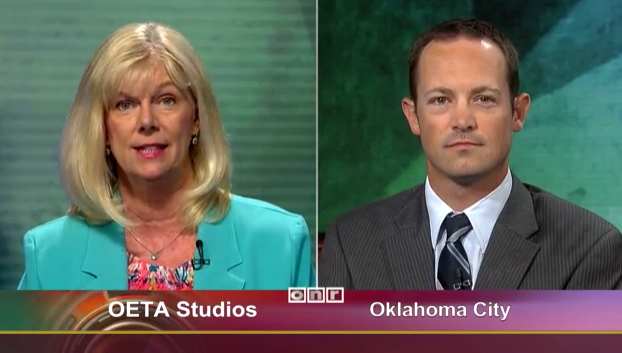 StateImpact’s Logan Layden visited with OETA’s Lis Exon for the August 5 edition of Oklahoma News Report, after moderating a panel discussion on State Question 777 for the Oklahoma Policy Institute earlier in the week. The discussion centered on the scare tactics being used by both sides of the right-to-farm issue: whether national animal rights groups are trying to force all Oklahomans to become vegans, or if Big Ag wants a license to pollute at will.